Thiruppukazh - Home page vetRivEl murukanukku haraharOharA Thiruppukazh activities in the Thiruvananthapuram area were started in December 1999, with the blessings from Guruji Shri AS Raghavan and Tara Mami. We are now in the twentieth year of Thiruppukazh Isai Vazhipadu work in this area. Twenty-five video clips were uploaded recently in You Tube on the chanDams and thALams in TIV. ﻿﻿﻿ We have published TIV Books in Malayalam script (Third Edition) and TIV Books in English script (First Edition). Please contact me by e-mail to purchase these books. Thiruppukazh activities in the Thiruvananthapuram area were started in December 1999, with the blessings from Guruji Shri AS Raghavan and Tara Mami. We are now in the twentieth year of Thiruppukazh Isai Vazhipadu work in this area. Twenty-five video clips were uploaded recently in You Tube on the chanDams and thALams in TIV. We have published TIV Books in Malayalam script (Third Edition) and TIV Books in English script (First Edition). Please contact me by e-mail to purchase these books. This is our humble attempt to propogate Thiruppukazh and other works of Saint AruNagirinAThar as initiated by Guruji Shri AS Raghavan more than 50 years ago..
and to Mrs Tara Krishnan (Tara mami), who introduced Thiruppukazh Isai Vazhipadu to us. The ARupadai Murukan page contains pictures of Lord Muruka from His six famous temples. Our Background page gives a brief introduction of our involvement with Thiruppukazh Isai Vazhipadu and the development of this web site. 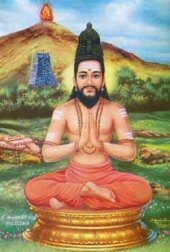 The TIV in Malayalam and TIV in English pages contain lyrics of Saint AruNagirinAThar's works in these two languages. 100 songs in the KSNA Book, Select 30 Alangkarams and Select KanDar AnubhUthi pages deal with the songs incuded in the book released by the KSNA - Kerala Sangeetha Nataka Akademy. The Classes and Bhajans in TVM page contains information and news about the classes and bhajans by the Thiruppukazh AnbarkaL of Thiruvananthapuram. 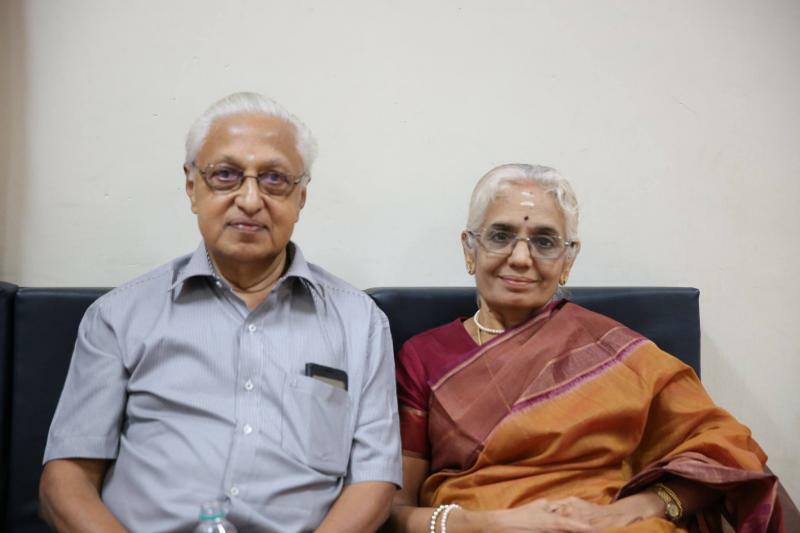 There are several pages of Photos from Thiruvananthapuram and Canada, with Guruji Raghavan, Tara Mami and others. These days, I am posting messages about new events and activities and photos on my Facebook. 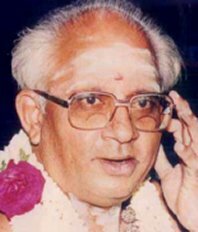 The Publications page contains articles and discussions on the works of Saint AruNagirinAThar. The chanDams page deals with the thAlams / chanDams of songs. The Audio Links and Video Links pages provide links to audio and video files of our classes and bhajns. In the TIV in English page, added downloadable 501 songs (in 12 folders), kanDar anubhUthi, kanDar alankAram, viruththangaL and thiru-vakuppukaL. 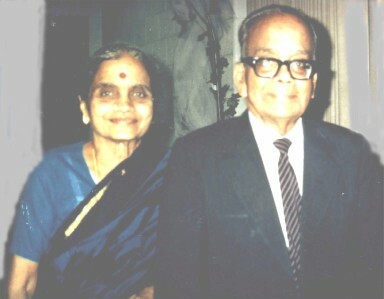 Added two pages titled Guruji Raghavan and Tara Mami. Posted several old photos of our involvement with them in Canada and Thiruvananthapuram. Added new pages, including one titled Sri Lanka. Photos from various events and our recent visit to Sri Lanka are posted there. We appreciate receiving your comments and suggestions.